Back in April, this astonishing Arizona Labrador retriever went above and beyond, saving his brother, Smokey, from the backyard pool when the pooch couldn’t find his way to the stairs. “Smokey was panicked so Remus jumped in and gave him a boost out,” owner Kayla Becerra told the Arizona Republic. 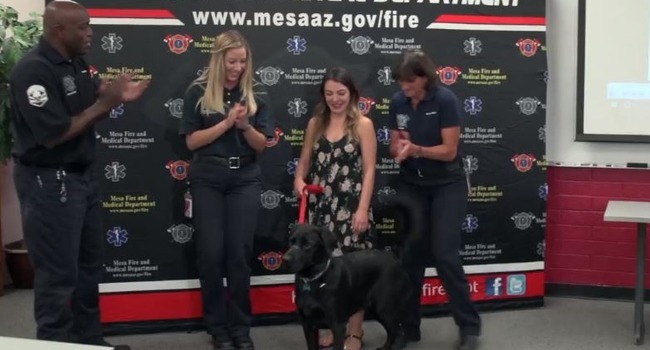 And this week, the Mesa Fire and Medical Department honored him for his heroic act, which was caught on video by his owners’ security camera, bestowing upon him a large bag of dog treats and lots of praise.